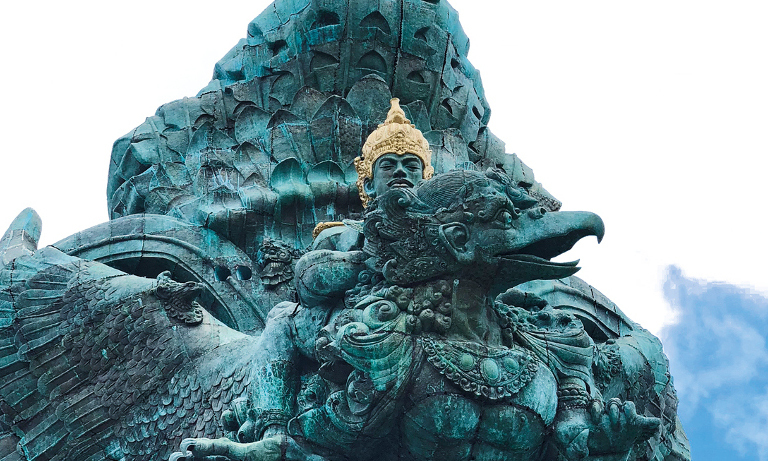 The strong connection of traditions between Java and Bali began thousands of years ago, tied with the movement of the people of the Majapahit Kingdom migrating from Java to Bali. Certain beliefs, customs and even bedtime stories on the island originated from ancient Javanese cultures, which existed long before Islamic teachings arrived. 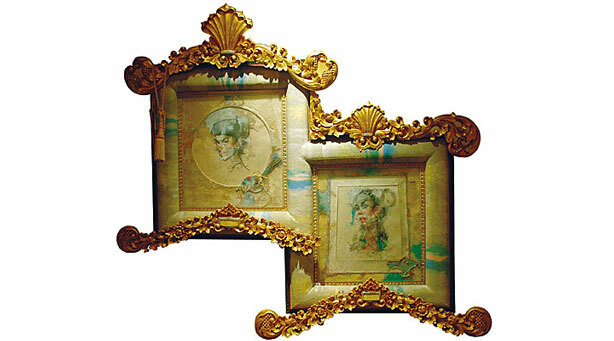 Folktales passed on from generation to generatio have become inspiration for some people, and have transcended into forms of artwork or even art performance. The Belibis Dance is one such performance that has brought ancient folktales to the stage. Belibis Dance is another beautiful and famous dance created by a prominent dance maestro N.L.N Swasthi Wijaya Bandem in collaboration with an outstanding Balinese gamelan (traditional orchestra) composer, I Nyoman Windha. The dance presents the story of Prabu Anglingdarma, a king from the Malawapati Kingdom who had the ability to speak to animals. 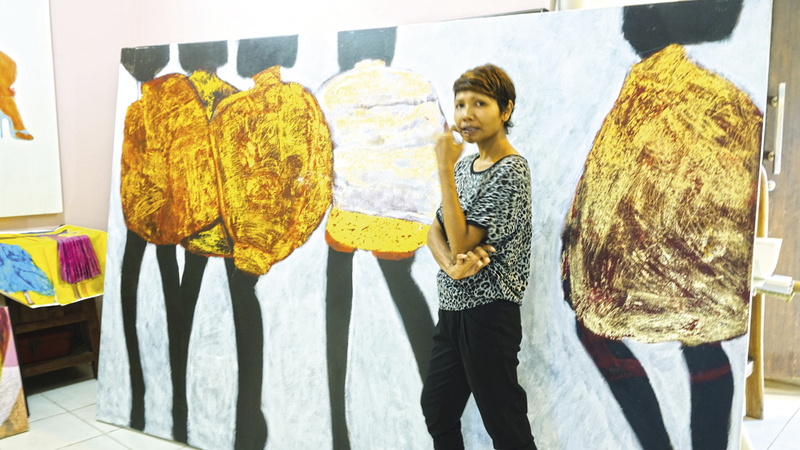 His wife, Setyawati was curious about her husband as she often saw him laughing and smiling out of nothing. Although, instead of telling his wife about his magical power, the king swore he would rather they die together than reveal his little secret. His wife thus tossed herself upon a fire, but the King breached his every own oath and did not join her on the flames. As self-punishment, the king turned himself into a bird, the belibis bird. Belibis is a beautiful bird species that lives in swamp, also known in the west as a whistling duck. For anyone watching the dance, it is clear to see the creators have been deeply inspired by the movements of birds. The dance is performed by seven female dancers wearing beautiful costumes with swinging white fabric attached to their long skirts, gorgeous when extended like a wing. The eloquent dance routines impersonate the gestures of the belibis almost perfectly, the costumes and routines blurring the line between human and bird, and I Nyoman Windha’s music the perfect accompanying birdsong. The compositions of the gamelan make the dance even livelier; the rhythm synchronising the dancers’ minds and bodies to move as one. 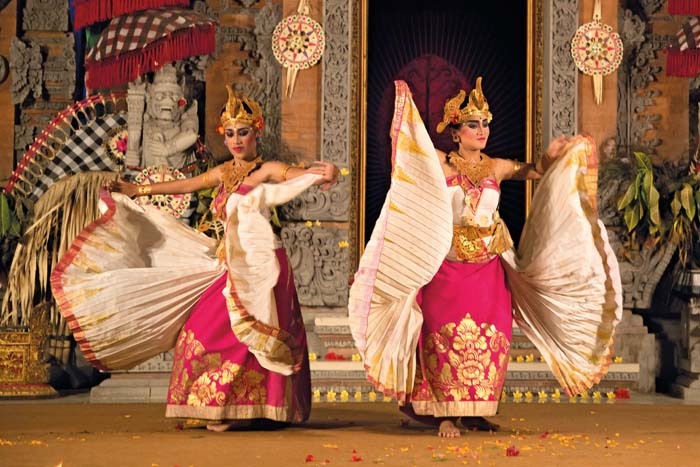 The Yowana Swara Dance Troupe performs this beautiful dance creation regularly at Pura Dalem Ubud – a temple in Ubud. Dance performances are a unique part of the island’s culture, which continuously develops. This development has helped to preserve the Balinese heritage through the use of traditional and sacred ‘basic routines’, inherited from the past. Being part of the audience will provide any one with a hint of the richness of the Balinese people, whilst helping to preserve culture.